Video from the recording of "Garden Party", extract from my last album GUM Tapes / Universal, recorded with the Macedonian Symphonic Orchestra / Fames Project. The album, which has been broadcast on the TV channels from the whole wold since February 2019, is available on the Universal website. Many thanks to the Fames Project team, the musicians from the Orchestra and Etienne Colin who mixed the album! A few excerpts from the soundtrack of a highly anticipated movie, adapted from a well-known literary series that was due out in 2019. A few days after I delivered the final mixed music, I nevertheless sadly learned that the film would not eventually be released. I can’t thank director Guillaume enough for trusting me on this movie. This collaboration was wonderful in all aspects. I also immensely thank the Budapest Symphony Orchestra and François Rousselot for the precision of their work on this music. The new year starts very well since my track Fear and Devotion is used in the last commercial of Transavia. This commercial trailer has been broadcast on the web and on the radio since the 7th January 2019, and in the french theaters since the 9th January 2019 at Paris, Nantes and Lyon! Lights Of Hope was released on the legal download and streaming platforms on December 18, 2018! A World Of Nature is the first piece we recorded with the Budapest Symphony Orchestra in september. The orchestra is conducted by François Rousselot and recorded by Tamás Kurina at Tom Tom Studio Budapest. Harp is played by Constance du Bellay and recorded by Arnaud Delannoy. I really thank the two extraordinary soloists (french horn and english horn), and Rebeka Drahos, contractor of the orchestra! 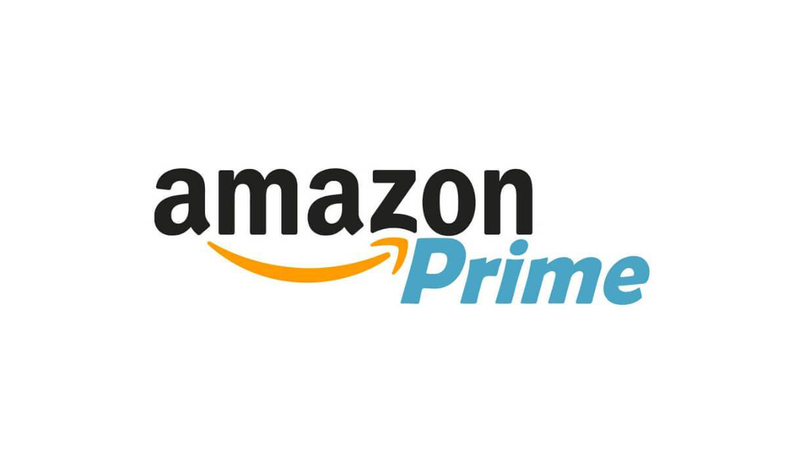 I feel very honoured that Amazon Prime Vidéo chose Everyday Delights (GUM Tapes / Universal) for their last commercial! The TV spot has been broadcast since october 2018 in France, Spain and Italy. 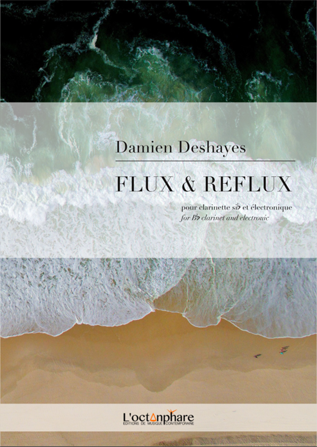 Flux et Reflux for clarinet and electronic is now available at Editions L'Octanphare! For my last album GUM Tapes / Universal, I challenged myself to compose a piece of music in the style of the light music of the 40s - 50s. "Dogs and Cats" was recorded by six amazing musicians: the string quartet Van Kuijk (Nicolas Van Kuijk, Sylvain Favre-Bulle, Emmanuel François and François Robin), the double-bassist Benoît Dunoyer de Segonzac and the fabulous one-man-band Arnaud Delannoy (clarinet). The music was mixed by Etienne Colin. Flux et Reflux for clarinet and electronics was performed a second time by Dominique Pfaff on 17th June 2018, in a concert staged on the occasion of the nomination of the Phare de Courdouan for the Unesco World Heritage list. The Editions L'octanphare, SMIDDEST, Europe, the Nouvelle-Aquitaine region, and the Gironde and Charente-Maritime départements were organizing this event, co-funded by the European Union. Balloon Dating, directed by Cyrille Drevon, will compete at Festival Court Métrange 2018 and will be screened in 150 Swiss movie theathers in September. This soundtrack mixing tango and electro was played by Arnaud Delannoy. 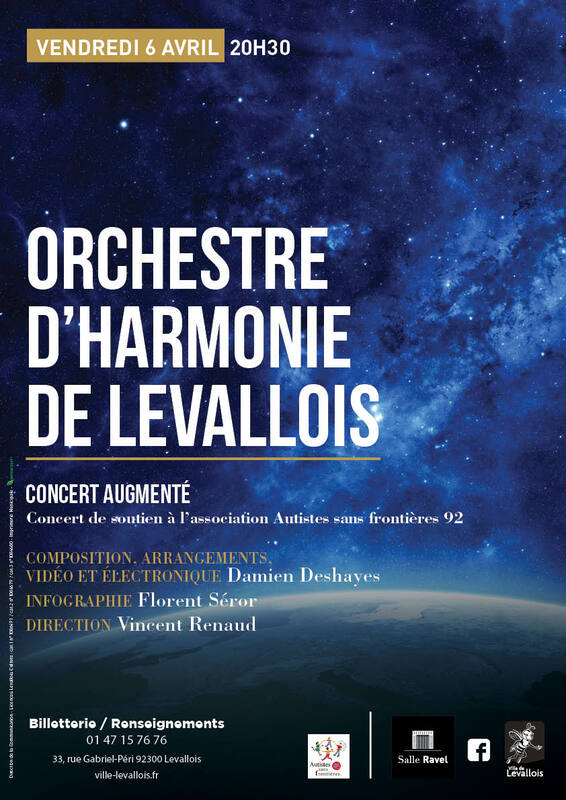 On 6th April 2018, I performed the first augmented concert with the Orchestre d'Harmonie de Levallois, conducted by Vincent Renaud. This project, on which I was working for several years, associates musicians, electronics, videos, voices and lights, and was supported by my publisher, Les Editions l'Octanphare. An amazing experience which ended with the world premiere of my piece Horizons for concert band and electronics. In november, three of my epic songs (Kept, Unknown Hero and Fear and Devotion) has been broadcast during the League of Legends World Championship 2017. I feel honoured to appear in their playlist since it's the most important eSport competition on this planet! A Journey to Heaven was released on the legal download and streaming platforms on December 19, 2017! A great collaboration has begun with the Editions de l'Octanphare which will publish my concert music from now on! 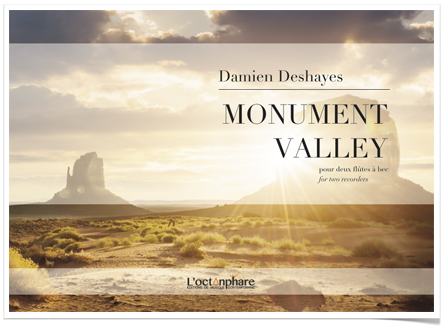 First pieces to be published: Monument Valley for two recorders and Qinah for clarinet and electronics. In september, I was happy to compose the music for a Weleda commercial, depicting the making of their products! The music was played by Arnaud Delannoy. You can watch the commercial on their Youtube channel. Sídhe, for C trumpet and organ (2017). In Celtic mythology, the Sídhe refers to the Irish Otherworld but can also refer to the word "peace". This piece is an attempt to evoke this legendary place, particularly through the registration of the organ which sometimes recalls - I hope so anyway - bagpipes in the distance. The trumpet was played by Pierre Badel and recorded by Marc Gueroult! A few months ago, I had the great pleasure to record a piece for GUM Tapes with the Macedonian Radio Orchestra / Fames Project and Jean-Philippe Audin! Etienne Colin supervised the recording and mixed the piece. Fourteen of my trailer / epic tracks, mixed by Etienne Colin, are available in the album "Epic Scores" at Universal Publishing! Very happy to be part of this new adventure! Broadcast of the documentary Ahnenerbe, les terribles savants d'Hitler, directed by Quentin Domart, produced by Label News, on TV5 on 17th April, 2017. Rebroadcast on RMC Découvertes on 23rd June, 2017 at 8:50 PM. I composed several additional cues for it. One year after the world premiere at Saint-Palais-sur-Mer, which took place during the 3rd Electrosession where I was the guest composer, I'm happy to present to you the recording of Flux & Reflux for Bb clarinet and electronics. ''The same stream of life that runs through my veins night and day runs through the world and dances in rhythmic measures. The artistic approach I chose for this piece differs from the leading aesthetic in electroacoustic music (GRM / IRCAM). It's quite intentional: I'd like to pursue this process in the future - with the help from my publisher - in particular in the course of a mixed music concert which will take place next year in April. The solo clarinet part, played by Marie Boche, was recorded on the day following the premiere at Studio Alhambra Colbert (Rochefort) by Mathieu Nappez. Huge thanks to her for the work she accomplished, because despite appearances, it was a difficult and demanding piece. The recorded clarinet which accompanies her was played by Judith Chiapparin and recorded by Jean Marnay at Studio Kadence. Embracing the Wind is a piece which blends electronics, piano and cello. I really thank the performers who bring it to life: Agnès Graziano (piano) and Hervé Chiapparin (celllo)! The piano was recorded at Studio Purple Sheep (Lyon) by Jean Prat and the cello at Studios de la Seine (Paris) by Sylvain Mercier. The french documentary L'Avocat, un Fruit qui fait sa Loi directed by Anne-Fleur Delaistre, for which I composed some additional music, was broadcast on France 5 from the 15th January 2017. My piece Remembrance, for trumpet and brass ensemble, was recorded in october/november 2016 by the gifted trumpet player Pierre Badel (recording engineer: Marc Gueroult) and by the brass section of the Budapest Symphony Orchestra, conducted by François Rousselot! This piece was commissionned by Pierre Badel and was written over a year ago in just a few days. I have to confess that the parts are incredibly challenging for brass players, even though the music sounds very simple: it is slow, with a lot of dissonant chords, and demands a lot of concentration and breath control... I really thank each musician for their dedication! 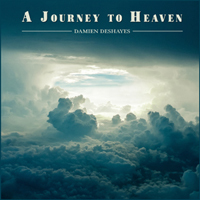 I'm very excited to present you one of my biggest personal projects of the year: A Journey to Heaven. I'm incredibly grateful to the musicians who brought some life to this orchestral and contemplative track: the very talented pianist Agnès Graziano, my faithful cellist Hervé Chiapparin and the Budapest Symphony Orchestra, conducted by François Rousselot. The music was also a journey itself, since it was recorded in three different cities: in Budapest at Tom-Tom Studio, in Paris at Studios de la Seine (recording engineer: Sylvain Mercier) and in Lyon at Studio-Purple Sheep (recording engineer: Jean Prat). 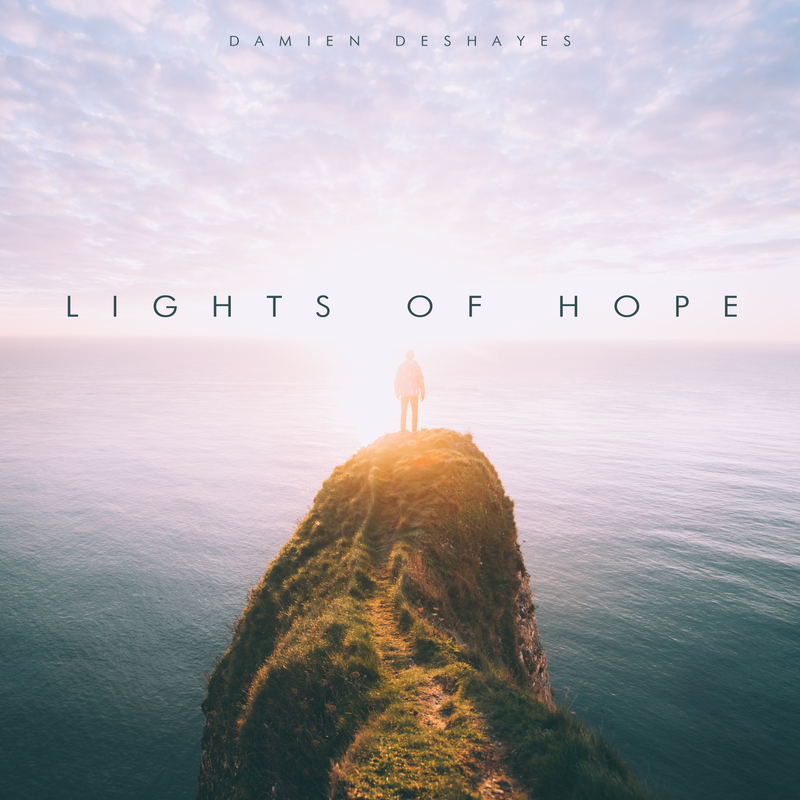 A few months ago, I composed Lights Of Hope, an epic / emotional track spotlighting the cello, performed by Hervé Chiapparin and recorded at Studios de la Seine (Paris) by Sylvain Mercier. The orchestral part was performed by the Budapest Symphony Orchestra, conducted by François Rousselot and recorded at Studio 22 of Magyar Rádio (Budapest). I am very happy to have composed some additional music for the documentary ExoMars: The Hunt for Life, produced by Label News and directed by François Pomès (main composer: Romain Paillot)! The movie has been broadcast on National Geographic and Science et Vie TV in October 2016. Soundtrack of the post-apocalyptic film Gasoline Road (prod. Norman Coast, dir. Clément Bernard and Yannis Cacaux). Composing this music, alternately rock and epic, was very exciting. Many thanks to Marco Porfield who performed superlatively well the bass and electric guitar parts, at the drop of a hat! Soundtrack of the short movie Le Syndrome Doris Day (prod. Norman Coast, dir. Clément Bernard and Yannis Cacaux, with Alix Bénézech and Grégoire Baujat). 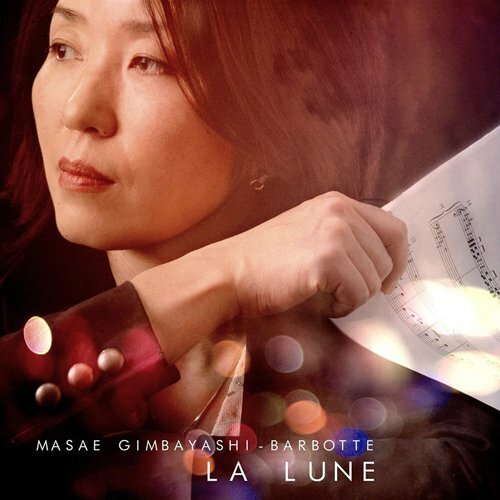 Performed by Judith Chiapparin (clarinet) and Alexandre Benéteau (piano), and recorded by Jean Marnay at Studio Kadence. 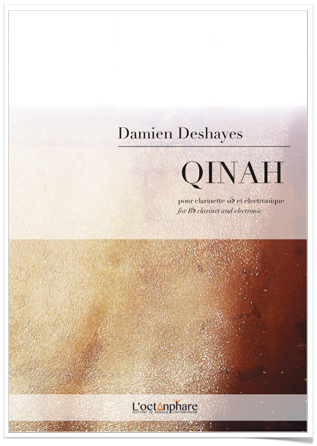 Before my residency in April, the town of Saint-Palais-sur-Mer commissionned Qinah, for Bb Clarinet and electronics. This piece was world premiered by Marie Boche on 12th February 2016 and was recorded by Judith Chiapparin on 5th February 2016 at Studio Kadence, with Jean Marnay's assistance. The sheet music is available here. 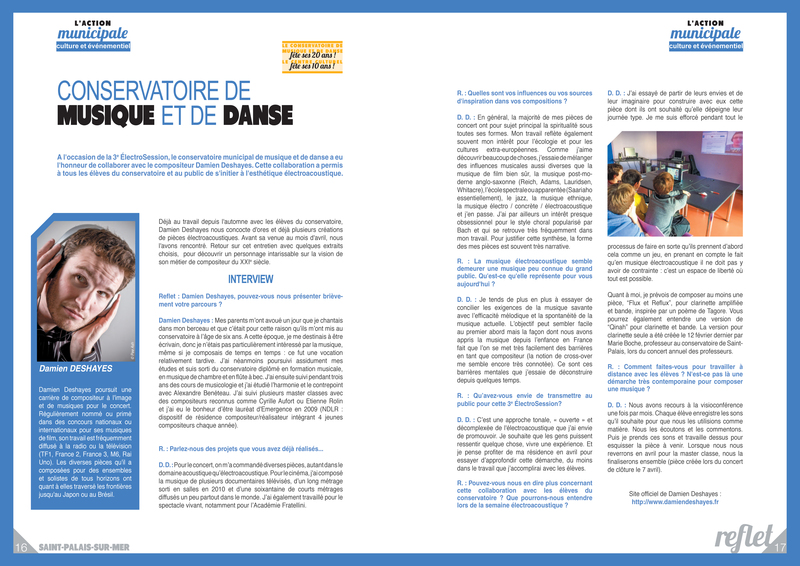 In the context of my residency in Saint-Palais in April, I gave an interview to the magazine Reflet! The article is available here! From 4th to 7th April, 2016, I was composer-in-residence at Saint-Palais-sur-Mer for the 3rd ElectroSession. On the programme: masterclass with the students of the Academy (6th April), lecture on "The electronic instruments in film and videogame music" (in French) (6th April), closing concert about my work, with the world premiere of Flux et Reflux for Bb clarinet and electronics by Marie Boche (7th April). The animated movie La Vague is in competition at the Festival International du Film d'Aubagne, which is mainly dedicated to film music and which will take place from 14th March to 19th March 2016! It's my second nomination there, after Skin Light in 2010!